Sea view cottage holiday specialist Simply Sea Views has launched a new website to showcase the wide range of coastal holiday properties available to rent throughout the United Kingdom. The new website has been completely redesigned with added functionality to help holidaymakers research and book sea view holiday cottages. With the addition of hundreds of new properties and improved availability search, the upgraded website makes it easier for users to find and book holiday homes by the sea. Response to the new website has been positive from owners and agencies who promote their sea view holiday properties through the site, as well as holidaymakers looking for self catering accommodation by the sea for upcoming vacations. Simply Sea Views promotes a variety of property types and styles to suit all budgets, featuring everything from large houses to one bedroom apartments, all with stunning sea views. 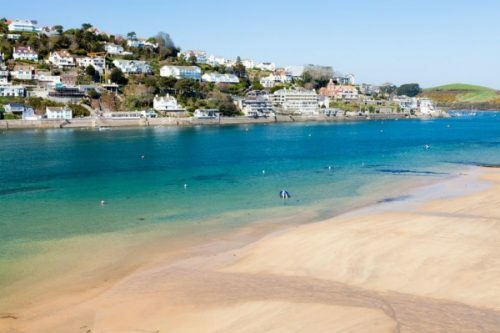 The Cornwall based company displays thousands of cottages and holiday homes throughout the UK, including the most popular sea view holiday destinations such as Cornwall, Devon, Dorset, Suffolk, Yorkshire, Pembrokeshire, Anglesey and parts of Scotland and Ireland. Josh Williams from Simply Sea Views commented: “The improvements we’ve made to the website have allowed us to add a huge number of new properties and give holidaymakers access to the largest online collection of UK sea view holiday properties. The website utilises the latest standards of responsive design, offering great performance across different devices, from desktop to tablets to mobile phone. With a sold framework to build upon, the company aims to add hundreds of additional properties over the coming months.